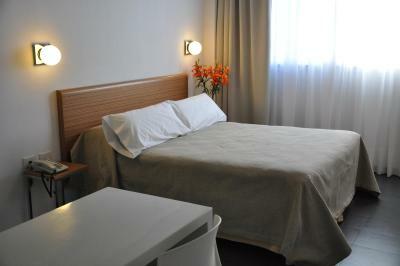 Lock in a great price for Roberta Rosa De Fontana Suites – rated 8.9 by recent guests! 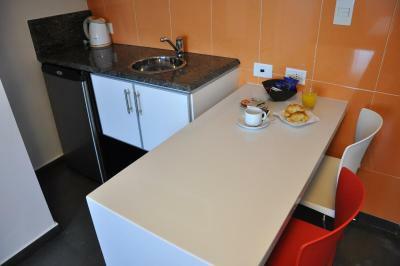 Muy cómoda la habitación y sus facilidades; muy cómodo el desayuno a la habitación; muy dispuesto y atento el personal, siempre con una sonrisa. Ubicación, atención del personal, muy amables y atentos. 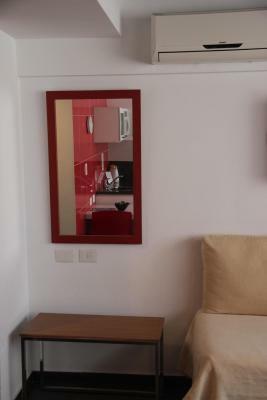 Roberta Rosa De Fontana Suites This rating is a reflection of how the property compares to the industry standard when it comes to price, facilities and services available. It's based on a self-evaluation by the property. Use this rating to help choose your stay! 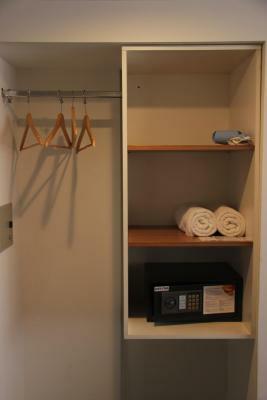 Roberta Fontana Suites offers well-equipped accommodations, a communal sun terrace and a hydromassage tub. 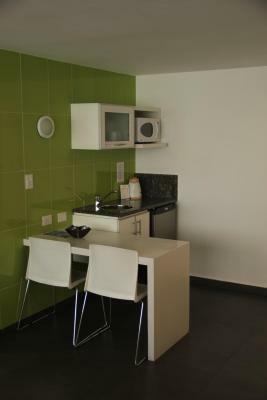 It is located in the center of Rosario, just 1 block from Cordoba pedestrian street. 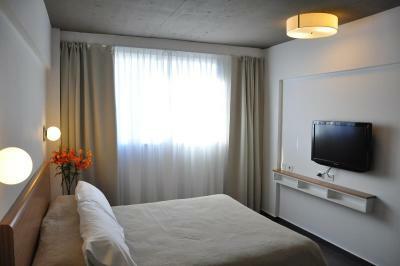 The air-conditioned rooms are spacious and feature a modern design. 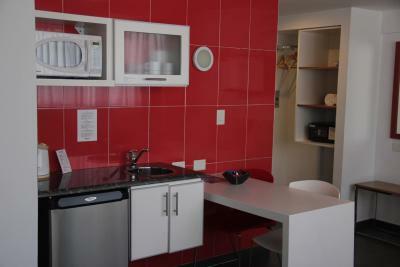 They are equipped with LCD cable TV, include a kitchenette with microwave and refrigerator and also offer a dining area. Wireless internet is available. Roberta Resto Bar serves daily menus, with national and international ingredients, which could also be delivered in the guest room. 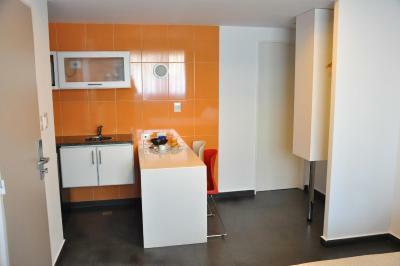 Continental breakfast is served daily in the room and includes coffee, milk, orange juice, toast, jam and butter. Hotel Roberta Rosa De Fontana Suites is located 8 blocks from the National Flag Memorial and 3 blocks from San Martin avenue. Private parking is possible nearby. This is our guests' favorite part of Rosario, according to independent reviews. 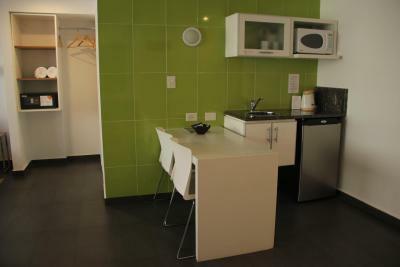 This property is also rated for the best value in Rosario! Guests are getting more for their money when compared to other properties in this city. 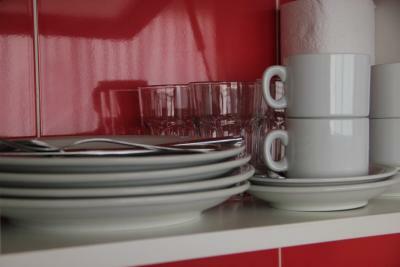 When would you like to stay at Roberta Rosa De Fontana Suites? 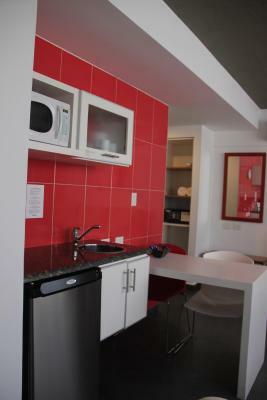 Self-catering room featuring air conditioning, heating, plasma TV and private bathroom. 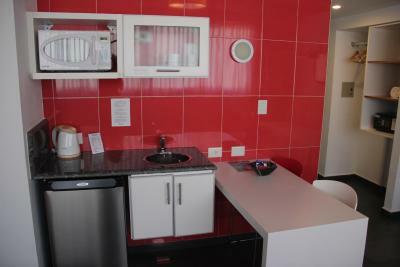 Self-catering room featuring air conditioning, heating, plasma TV and private bathroom. 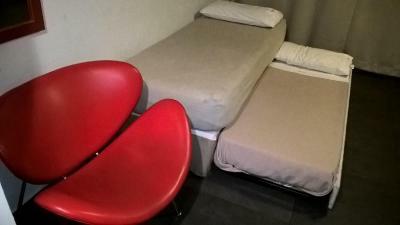 It includes 2 single beds and a bunk bed. House Rules Roberta Rosa De Fontana Suites takes special requests – add in the next step! Other Roberta Rosa De Fontana Suites accepts these cards and reserves the right to temporarily hold an amount prior to arrival. Roberta Rosa De Fontana Suites accepts these cards and reserves the right to temporarily hold an amount prior to arrival. Please note that the on site bar will be closed due to refurbishment until further notice. The staff is great, rooms were clean and tidy. Breakfast was not good for the price you pay. 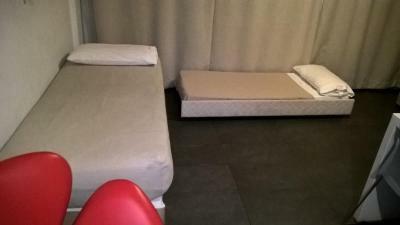 Beds were ok at most and bathroom is small and old.